Pilatus Bank is in the process of winding down, lawyers for its chairman have said in papers filed in a New York court. The documents were part of submissions for a bail request from Ali Sadr Hashemi Nejad a few days ago. Citing documents, Nationalist MP Karol Aquilina said in a tweet: "Secret banker Ali Sadr Hashemi Nejad is running away and leaving Malta's reputation in tatters". The Iranian-born chairman, who ran the bank, is under arrest in the United States, where he faces charges of violating US sanctions. He is liable for a 125-year-jail term if convicted. In the wake of the arrest, the Malta Financial Services Authority froze the bank's assets. The Daphne Project, an international journalistic collaboration which includes Times of Malta, reported on Monday that a network of over 50 companies and trusts secretly owned by Azerbaijan's ruling elite used accounts at Pilatus Bank to move millions around Europe. The bank has also been linked to money laundering allegations involving the prime minister's chief of staff, Keith Schembri, and Tourism Minister Konrad Mizzi. Both have strongly denied the claims. Last year, Ms Caruana Galizia reported that the prime minister's wife was the ultimate beneficiary of funds in a secret Panama Company - Egrant - and some one million dollars had been deposited there from Azerbaijan via Pilatus Bank. The information, which was denied by the prime minister and his wife, was partly-based on revelations by a former bank employee, Maria Efimova. 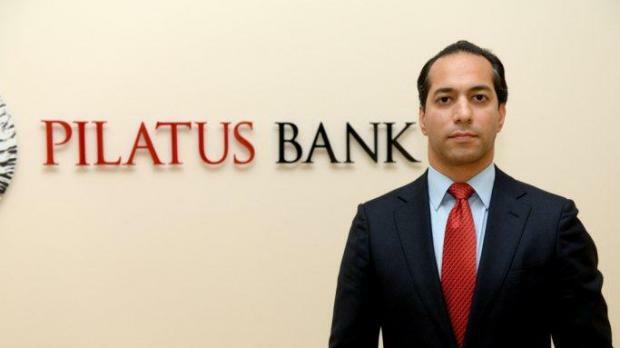 In February, Times of Malta reported that the European Banking Authority had opened a “preliminary inquiry” into the supervision of Pilatus Bank. Meanwhile, Pilatus Bank's UK branch has been closed down according to the country's Prudential Regulation Authority. The development was communicated in a letter sent to PN MEP David Casa. The Prudential Regulation Authority (PRA) at the Bank of England is responsible for prudential regulation and supervision of 1,500 banks, building societies, credit unions, insurers and major investment firms. The letter from the Prudential Regulation Authority.